Listening, Performing and Composing are regular activities in the Bewdley Musical Curriculum for Year 7 musicians. 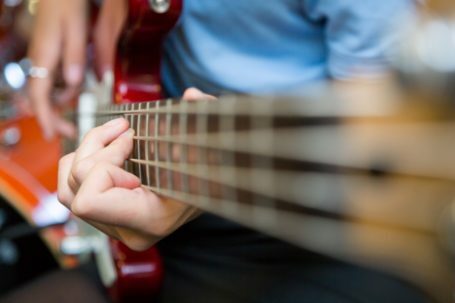 Students will have to opportunity to develop skills on a range of classroom instruments including: keyboard, ukulele, guitar, bass, drums and tuned percussion. In addition to this, students will actively be encouraged to bring their own instruments and develop confidence in using their voices. A wide range of contrasting topics is taught over the year, ranging from traditional keyboard pieces to developing musical technology skills. Listening, Performing and Composing remain regular activities in the Bewdley Musical Curriculum for Year 8 musicians. A wide range of contrasting topics is taught over the year ranging from traditional keyboard pieces to developing musical technology skills. At least 1 minute of ensemble work. 4 minutes’ minimum in total. Failure to meet the time requirement will result in a score of 0. Grade 3 is “standard” level. Music performed above this (accurately) will be awarded higher a level of difficulty mark (up to 3). Music performed below this difficulty, may have marks deducted (up to 4). 1: Set to Eduqas brief (released September in the year of examination). Compositions should total a minimum of 3 minutes. Failure to meet the time requirement will result in a score of 0. GCSE Music Students will be introduced to – and study – two contrasting set works. Rush Hour Recitals, School Concerts, Hop Fest and St. George’s Hall. Students will develop knowledge of key terms and understanding, extend their theoretical and analysis skills. Students will begin the compositional process, producing short structured pieces in response to set briefs. Music Technology course can be varied to suit you. We are very experienced in teaching Edexcel A-level, but we have recently been given accreditation to teach RSL Level 3 Subsidiary Diploma, which is worth 1.5 A-levels. Currently we are teaching Edexcel A-Level Music Technology, and the course is outlined below.